This is an opinion piece and not an advertisement. To give you a bit of background, the E-Pace is the little sister to the larger F-Pace and has borrowed its platform from its cousin the Range Rover Evoque. 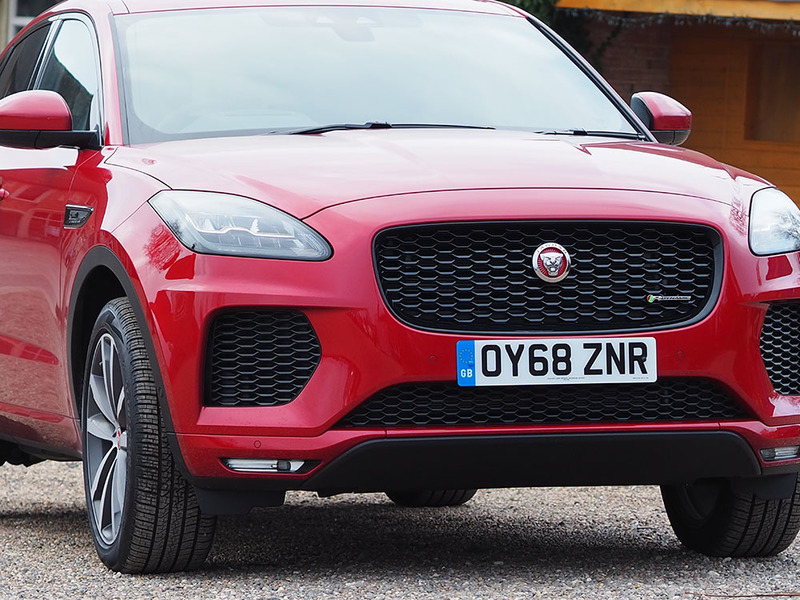 It’s taken on a sleeker, more sporty design than that of the Evoque as Jaguar tries to pitch itself towards a younger audience and ditch the ‘old man car’ image. Whilst the E-Pace starts from around the £28k mark, I was sent the R Dynamic SE, which is a top of the range model and has all of the bells and whistles, which has an OTR price of £42k. The E-Pace is nicely finished inside, with quality surfaces throughout and a tonne of storage spaces for cups, phones and more. The large touch screen display is easy to use and extremely responsive, unlike that of the Evoque. Options like heated seats and a heated steering wheel make for a comfortable drive, even on chillier January days. The leather seats are soft and comfortable and have a clever system that adjusts the seat depending on who’s driving based on the key being used and any Bluetooth devices being used. The back seats feature average leg room, if you’re of the taller type like myself, you may find it a bit cramped, however with a large boot you’ll easily be able to chuck your bags and coats in there for a bit more space. Outside you’ve got sleek lines, a large aggressive grille, and headlights that wrap themselves around the front of the car, making the E-Pace look sporty, even for its size. Keyless entry and locking make it quick and easy to get in and out of the car without needing to scramble around finding your keys. A reversing camera makes it simple and easy to park, and if that isn’t easy enough, it can even parallel park for you (because who actually enjoys parallel parking?!). Under the hood you’ve got a few engine options, mine came with the 2 litre Ingenium 250ps Petrol, to be fair it went like an absolute rocket thanks to the turbo. This engine runs on a 9-speed auto transmission, and coasts nicely at high speeds, even giving you little more punch when you kick down the accelerator, perfect for confident overtaking. It’s actually very comfortable to drive, my only complaint would be that the suspension is a little stiff, what that means for your journey is the E-Pace almost seems to seek out every single bump or dip. When you’re up to higher speeds on motorways and main roads, it sits comfortably on the road, on winding back roads it feels fun, nimble and tackles corners and bends with ease. The auto transmission is silent and smooth which is great for creating a smoother ride. It’s definitely a nice car, the Firenze Red colour is eye-catching and adds a sporty look to the car. It’s nippy and fun when it needs to be but also sits firmly as a serious SUV. The petrol motor has good range and allows for a smooth journey whether long or short. Having not driven a lower model of the car, I would imagine the comfort is made better by going for a more expensive model, and at £42,000, you’re talking about some serious money. The car I was driving came loaded with a lot of extras, so I would definitely advise trying out the model you can afford before going ahead. Would I buy one? To be blunt, yes. I currently drive a Range Rover, and whilst the size is very similar, the Jaguar E-Pace felt a bit sportier, and a bit more fun. You get a very similar quality of car, but it just feels to me like Jaguar gives you that little bit more to enjoy. You can find out more about the Jaguar E-Pace by clicking here.